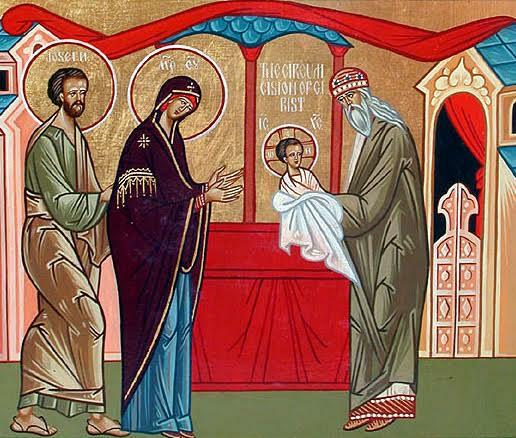 The Feast of the Circumcision: A Blessed New Year! While January 1 marks the beginning of the civil new year—and we wish every blessing of the season to our readers—it also marks the Feast of the Circumcision of our Lord, Jesus Christ. On the eighth day after His Nativity, our Lord Jesus Christ was circumcised in accordance with the Old Testament Law. All male infants underwent circumcision as a sign of God’s Covenant with the holy Forefather Abraham and his descendants [Genesis 17:10-14, Leviticus 12:3]. After this ritual, the Divine Infant was given the name Jesus, as the Archangel Gabriel declared on the day of the Annunciation to the Most Holy Theotokos [Luke 1:31-33, 2:21]. The Fathers of the Church explain that the Lord, the Creator of the Law, underwent circumcision in order to give people an example of how faithfully the divine ordinances ought to be fulfilled. The Lord was circumcised so that later no one would doubt that He had truly assumed human flesh, and that His Incarnation was not merely an illusion, as certain heretics had taught. In the New Testament, the ritual of circumcision gave way to the Mystery of Baptism, which it prefigured [Colossians 2:11-12]. Accounts of the Feast of the Circumcision of the Lord continue in the Eastern Church right up through the fourth century. 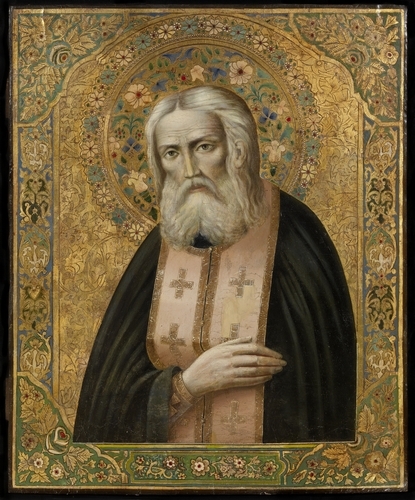 The Canon of the Feast was written by Saint Stephen of the Saint Sava Monastery. In addition to circumcision, which the Lord accepted as a sign of God’s Covenant with mankind, He also received the Name Jesus [Savior] on the eighth day after His Nativity as an indication of His service, the work of the salvation of the world [Matthew 1:21; Mark 9:38-39, 16:17; Luke 10:17; Acts 3:6, 16; Philippians 2:9-10]. These two events—the Lord’s Circumcision and Naming—remind Christians that they have entered into a New Covenant with God and “are circumcised with a circumcision made without hands, in putting off the body of the sins of the flesh by the circumcision of Christ” [Colossians 2:11]. The very name “Christian” is a sign of mankind’s entrance into a New Covenant with God. Christ is born! Glorify Him! In recent years, we have been increasingly invited to immerse ourselves in a multitude of “universes” as an alternative to our everyday lives. Most recently, yet another installment of the “Star Wars” universe was released, and surely there will be more to come, along with an endless array of similar cinematic worlds and virtual realities in the realms of sports, entertainment, the internet and in the media. While promising an escape from the mundane, such things often leave us still trapped in our own world of earthly passions and desires. Today, as we celebrate the Great Feast of the Nativity in the Flesh of Our Lord, God and Savior, Jesus Christ, we are invited to immerse ourselves, not into the world of escape, but into that “strange and glorious mystery” by which we are transfigured and transformed, embracing the Kingdom of heaven while allowing the Lord to embrace us. We are offered the possibility of encountering, not dazzling “heroes” of the three-dimensional, high definition sort, but rather the simple beauty of the birth of the child Jesus. Virtue is not the goal, but rather a life of humility and a struggle to discern the Lord’s very image in everyone whom we encounter. He “Whom in essence none can touch” is wrapped as a mortal in swaddling clothes that we might become “partakers of His divine nature.” If there is any element of escape here, it is rooted in the turning away from sin and the all-too-deceptive seductiveness of this world. May the joy of this great feast transfigure us now, in the New Year to come, and every day of our lives as we await the fullness of the Kingdom of heaven, yet to be fully revealed, but already fully present in the life of the Body of Christ, the Church. The haunting last verses of the Book of Judges sum up the state of creation. All went to their own tribes; all went to their own inheritances. There was no king in Israel, because they had forgotten the only King they had ever known. So every person did what was right according to his own vision. Paradise was gone. The inheritance promised to Abraham and his descendants was no more real to them than a lottery jackpot is to us. But God did not abandon His creation or His people. For a Child is born, a Son is given, and the government was placed upon the shoulders of the King who came to reclaim what was His from before time began. In the quiet of a cave, surrounded only by animals and shepherds, the One who is without beginning begins to be. The One who cannot be contained comes forth from the Virgin’s womb, which is more spacious than the heavens. And the only Gift the world has ever needed has been given. Our lives today very much can resemble the time of the Judges. We often run to our own tribes and inheritances. We often live for the world and its allures and seductions. We often live as if we have forgotten the King who desires nothing except to love and care for us, leading us to His Kingdom. We certainly often do what we think is right according to our own vision. This glorious Day dawns with the reality that the Gift who is the new-born Savior has been given freely to all of us. The vision that we use to walk has been filled with the Divine Light, taking away all of our darkness. Our entrance into the cave with the shepherds and animals, all of us with the angels singing “Glory to God in the Highest, and on earth peace, good will to men,” unites us to Him and unites earth and heaven. But while the Gift is freely given, it must also be freely accepted. In order to walk in the Light, we have to open our eyes so they might be filled. We must not do what we think is right according to our own vision. And we must lovingly embrace the Child who has come to be what we are in all of our frailty and brokenness so that we might be made whole again and become like Him. I invite each of you to join me and come to the Cave. The Orthodox Church is the Church founded by Jesus Christ and described throughout the New Testament. The word Orthodox literally means "straight teaching" or "straight worship," being derived from two Greek words: orthos, "straight," and doxa, "teaching" or "worship." The Orthodox Faith does not begin with mankind's religious speculations, nor with the so-called "proofs" for the existence of God, nor with a human quest for the Divine. The origin of the Orthodox Christian Faith is the Self-disclosure of God. Orthodox Christianity is the life in faith of the Orthodox Church, inseparable from that concrete, historic community and encompassing its entire way of life. The Orthodox Christian faith is that faith "handed once to the saints" (Jude 3), passed on in Holy Tradition to the apostles by Jesus Christ, and then handed down from one generation to the next, without addition or subtraction. Holy Nativity Orthodox Mission is that presence in the Lower Columbia area. Visit us, Email us, Pray for us. Join us in this wonderful journey.